We’d love your help. Let us know what’s wrong with this preview of The Outbreak of a Monstrous Infection by Afshan Naheed Hashmi Phd. To ask other readers questions about The Outbreak of a Monstrous Infection, please sign up. 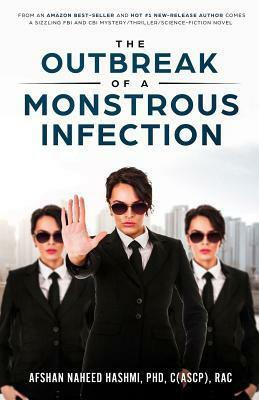 The Outbreak of a Monstrous Infection is a captivating mystery thriller that is sure to make you stop and think. A story that draws you in and holds your attention until the very end. The characters are realistic and well-written with a setting that helps add to the mystery of the storyline. The Outbreak of a Monstrous Infection is perfect for fans of thrillers with unexpected endings.